Home page : Ride Revive Valeting & Detailing - It's the detail that makes the difference. & protect the appearance of your pride & joy. After establishing in 2006, Ride Revive rapidly earned a reputation for offering an exceptionally high standard of valeting & detailing, combined with fantastic customer service. 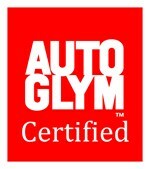 A long standing passion for cars, training & certification byAutoglym, using only the finest quality products available & being comprehensive insured, all equate to a truly professional service. You can rest assured your car will be in safe, skilled hands to restore it's appearance back to it's former glory, enhance it's looks to 'another level' & protect it with the latest protective coatings to keep it looking that good. "Neil is such a down to earth guy and treats you with the up most respect. His attention to detail is outstanding and the finish..."
"I would highly recommend Ride Revive to anyone. The paintwork on my car is probably better now than when it first..."
"The attention to detail is outstanding, and the customer service is equal to the quality of the workmanship..."
"Neil has been looking after my car over the last six months & will continue to get my business. Whether providing..."